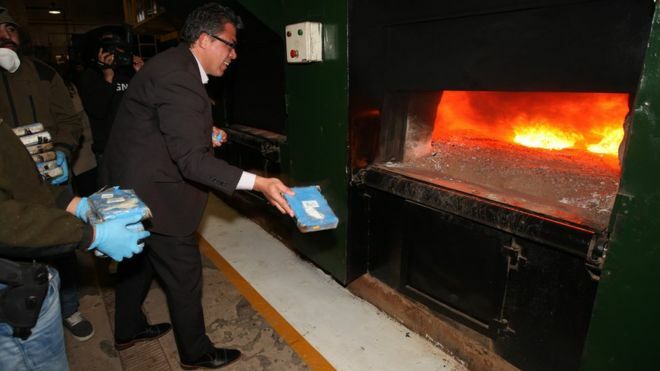 Russia and Argentina have used a crematorium in Buenos Aires to burn 389kg of cocaine seized in a drugs bust at the Russian embassy. The total haul of cocaine destroyed was estimated to be worth $93 million dollars, BBC reported. 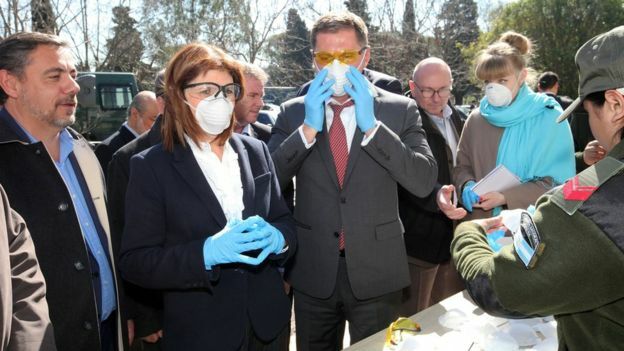 Russian Ambassador Dmitry Feoktistov and Ms. Bullrich took part in the incineration on Tuesday. According to BBC, in 2016, the ex Russian ambassador alerted Argentine officials to 12 suitcases found hidden in an embassy annex full of drugs. The police replaced the cocaine with flour. They also tagged the cases with GPS tracking devices. The plan was to wait for the owners to collect their cases, then swoop. A year later, the cases arrived in Moscow, and arrests followed. The alleged ringleader of the smuggling gang is Andrei Kovalchuk, who was arrested in Germany and extradited to Russia in July. Russian media name the other accused Russians as Vladimir Kalmykov, Ishtimir Khudzhamov, and Ali Abyanov. Authorities suspect that Mr. Kovalchuk hired Mr. Abyanov to store the cocaine cargo in the school attached to the embassy and to organize its transfer to Russia. At the time Mr. Abyanov was the embassy's caretaker. Two Russians with Argentine citizenship are under arrest in Argentina - Alexander Chikalo, and a senior Buenos Aires policeman, Ivan Blizniouk. The policeman is suspected of having pulled rank at the airport, enabling the cases to be loaded onto a Russian plane without customs checks. Ms. Bullrich praised the "fantastic" security co-operation with Russia, saying it had been a "very complicated operation" and "Russian police officers came here seven times".